Welcome ... to the space where healing happens. Are you feeling as alive and vibrant as you want to be feeling? Could you use an upgrade? Karen treats you, not your dysfunction. What does this mean? If you come in with back pain, for example, Karen invites the body to become strong again to support the back. The end result, little to no back pain. Treatments are based in craniosacral therapy and the fundamental belief that the body is capable of self-healing. And sometimes we need assistance. Your treatments are personalized to you, how you are feeling and how you got to this point, what's working well and what needs support. Many clients come see Karen as a stand-alone therapy for their personalized wellness. Some come in for treatments as part of integrative team approach. Karen’s treatments blend well with traditional and integrative medicine including physical medicine, acupuncture, chiropractic and coaching. Karen Partisch specializes in Craniosacral Therapy (CST) for people and CST for horses. Karen is located in Sarasota, FL. Clients typically find that treatments with Karen involve deep relaxation. Removing the tension from our nervous system allows it to have more energy to restore our natural ability to heal. Science has proven that in this deep relaxation we increase our innate ability to heal, recover and increase resilience. 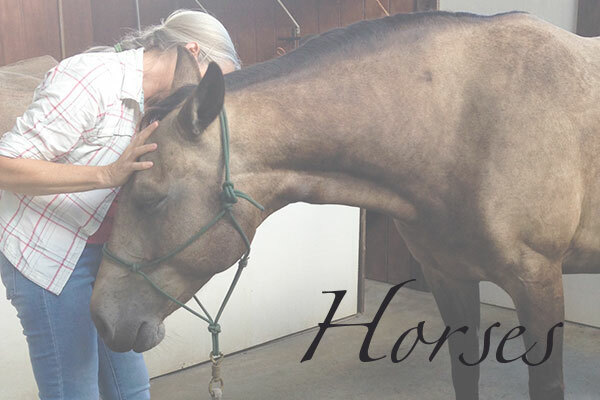 Karen Partisch also teaches hands-on skills for horses, based in Craniosacral Therapy. Craniosacral Therapy (CST) is a light touch, manual therapy technique that enhances the central nervous system, facilitating the body’s own self-corrective mechanism. Deep relaxation allows us to heal, recover and have increased resilience in our life. Science has proven this. Treatments with Karen allows the body to discover deep relaxation and explore resilience by finding your best way to remove the barriers that life puts in our way (barriers like pain and stress). Who can benefit from treatments with Karen? Anyone who wants to alleviate tension in the body, mind and spirit. It’s a natural approach and is safe for all ages. Whether you need healing for yourself or your horse, you’re in the right place.